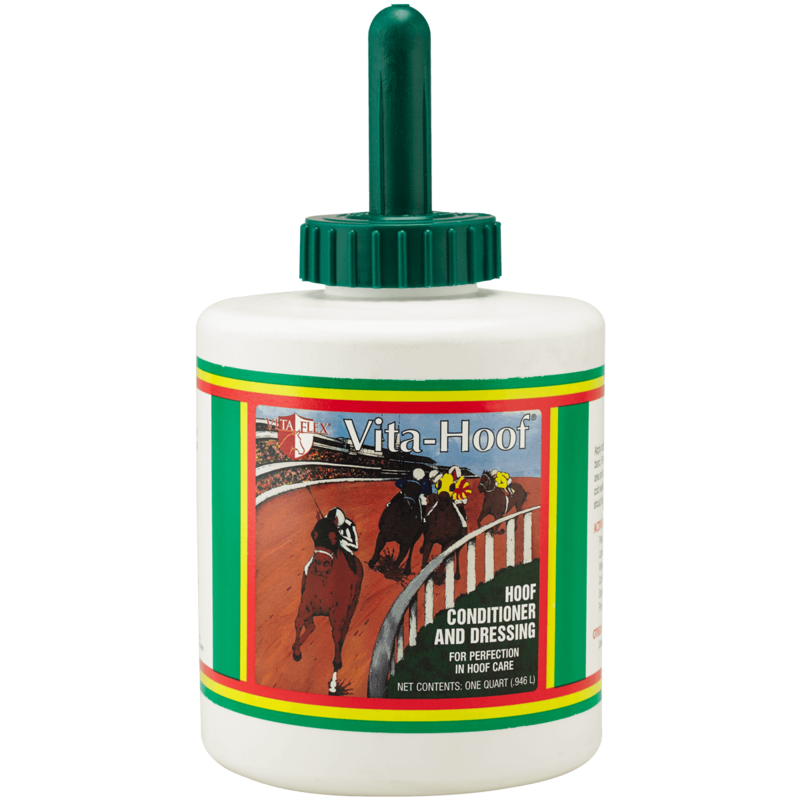 Vita Flex Vita-Hoof Hoof Conditioner and Dressing topical aids in the development of more resilient hooves. Moisture preserving emollients absorb into the hoof upon application, leaving hooves strong and pliable. Built-in brush applicator makes application easy. Apply daily to complete hoof, deep into heel, and to coronary band. For maximum effectiveness, also apply to the pastern area and massage into the skin. To improve absorption during cold weather, VITA-HOOF should be warmed prior to application. The nutrient N,N-Dimethylglycine helps transport oxygen that breaks down glycogen to fuel the ATP cycle, creating energy in the body.